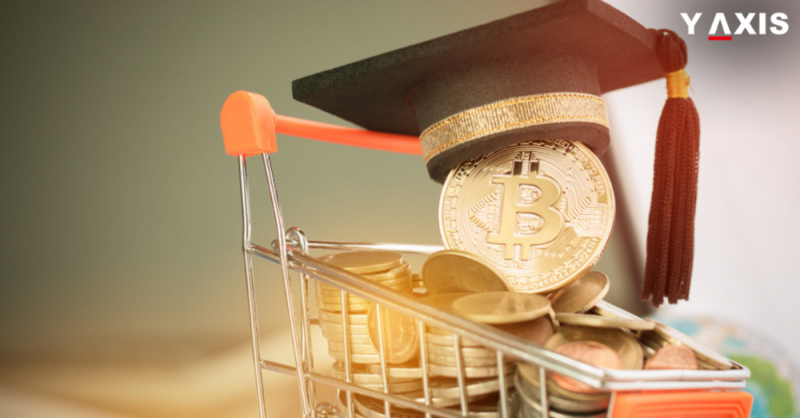 The numbers of students opting for Overseas Universities to obtain a Block Chain degree is increasing every year. Block Chain possesses the potential to transform almost every sector of the modern economy. The same can be said for higher education as well. The number of jobs advertised for Block Chain increased thrice in 2017 on LinkedIn. Thus, there is immense potential for a lucrative career for those students who plan a degree in Block Chain. Vice-President of Block Chain Technologies at IBM Jerry Cuomo said that a really talented Software Engineer or Consultant can earn really high in the domain. The starting salary is around 25,000 $, he added. The supply has been far outnumbered by demand and thus there are shortages said, Cuomo. Along with Artificial Intelligence and Cloud, Block Chain is a really hot area, he added. Astonishingly, around 47% of the majors in Social Science said that they were keen to learn regarding Cryptocurrency. Meanwhile, the % of Engineering and Computer Science was only 34%, as quoted by the Study International. This has been revealed by a survey of Coinbase Qriously for students in the US. The survey revealed that 15% of Block Chain and Cryptos were offered by Law, Finance, Economics and Business Departments. 4% were from the Social Science departments. This includes Political Science, History and Anthropology. Y-Axis offers a wide range of Visa and Immigration products as well as services for aspiring overseas students including Student Visa Documentation, 5 course search with admissions, 8 course search with admissions and Country Admissions Multi country. Y-Axis offers diverse products such as IELTS/PTE One to One 45 min and IELTS/PTE One to One 45 min package of 3 to help aspiring overseas students with the language tests. If you are looking to Study Abroad, Work, Visit, Invest or Migrate to the US, talk to Y-Axis, the World’s No.1 Immigration & Visa Consultant. Why should Indian students Study Overseas?